AFSCME announces results of strike authorization vote. AFSCME, the labor union that represents 38,000 Illinois employees, states that 81% of the workers who participated in a recent advisory ballot voted to authorize a possible strike. Big hair. Big budget deficits by government. Big, flamboyant designs for buildings. 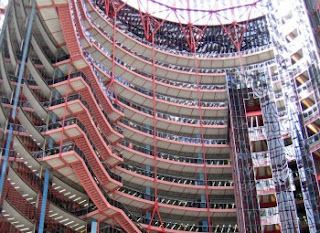 That helps to explain how the James R. Thompson Center in the Loop came to be. Opened in 1985 as the State of Illinois Center under then-Gov. Thompson, the postmodern glass and steel behemoth belongs to a period known for excess. Some see beauty in the 1.2 million square-foot structure with a stunning 16-story atrium. Others see a beast, with an interior that feels like the inside of a pinball machine. We see an architectural fascination, for better or worse, that sadly is too expensive and inefficient for Illinois taxpayers to maintain. And they might not have to do so for much longer. Illinois House Speaker Michael Madigan suggested Friday he is willing to go along with Gov. Bruce Rauner’s long-stated desire to sell the 1.2 million square-foot structure that sits on an entire city block. Read more. Governor Rauner delivers budget address to General Assembly. Speaking to a joint session of the Illinois House and Senate on Wednesday, Governor Bruce Rauner delivered his annual Budget Address, outlining his priorities and introducing his third balanced budget in as many years to be considered by lawmakers. Saying “We must think anew and act anew,” the Governor presented a balanced budget that focuses on the future. It invests in Illinois’ future with record funding for education, transforms our pension system, and makes structural changes to improve our jobs climate. 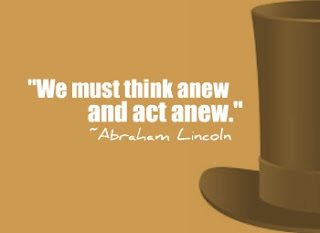 Governor Bruce Rauner opened his remarks to the Illinois General Assembly with a quote from Abraham Lincoln: "We must think anew and act anew." State Rep. Tom Demmer has filed a package of bills and constitutional amendments designed to fix a broken state government system. The Dixon Republican collectively calls the proposed reforms the Get Government Back on Track package. Demmer said he worked with his staff to write the four bills and two constitutional amendments. The package was assembled in an effort to get bipartisan support, he said. "It's probably too early in the process to assess that support, but I think there are a lot of items that both parties can agree on," Demmer said. "There's a logjam in the process, and the idea is to get multiple options for bringing good ideas to fruition." Read more. 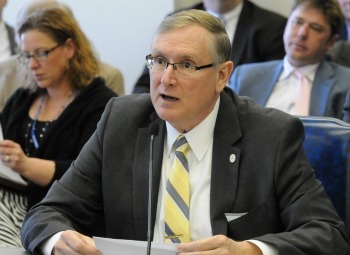 A Republican State Representative has introduced a bill that would require inmates with financial resources to pay for their own defense if they’re charged with committing a crime while behind bars. Illinois Gov. Bruce Rauner quickly said he supports the bill. The legislation is in response to a WGN Investigates report that found Drew Peterson’s court-appointed legal team charged Illinois taxpayers $264,000 to defend the former Bolingbrook cop. Peterson was convicted of plotting from prison to hire a hit man to kill Will County State’s Attorney James Glasgow. Glasgow was the prosecutor who put Peterson in prison for killing his third wife Kathleen Savio. “Taxpayers are on the hook too easily for inmate legal bills,” Rauner said in a statement to WGN. “In a time when financial resources are tight across state government, there are better uses for the more than $200,000 the state is paying to defend Drew Peterson.” Read more. Bipartisan bill would protect employee pay. With Illinois continuing to operate without a budget, the paychecks of Illinois state employees are coming under threat. HB 2803, sponsored by Rep. Avery Bourne and more than two dozen House colleagues, would protect these paychecks while State employees are on the job. The bill would provide for a continuing appropriation for each State agency to meet personnel expenditures for each payroll period without a conventional budget. The measure has been referred to the House Rules Committee. 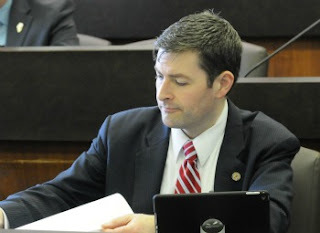 Ryan Spain was sworn in as State Representative of the 73rd District in January 2017, following the retirement of State Representative David Leitch. In April 2007, Spain was elected to the City Council as the youngest at-large member in Peoria history. 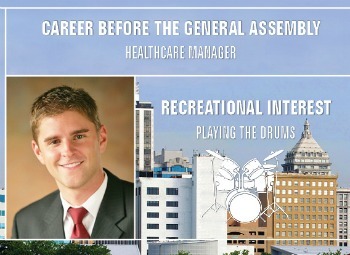 He is currently employed at OSF Healthcare System as the Vice President of Economic Development. Spain and his wife Ashley have a three-year old daughter named Vivienne. Read more. Caterpillar to move headquarters from Peoria to Chicago. The earthmoving giant, headquartered in Peoria for more than 90 years, announced plans this week to move its corporate headquarters to the Chicago area. The move is expected to affect only about 300 of the 12,000 Caterpillar employees in the Peoria area, with most of the firm’s engineering, production, and back-office staff remaining in Peoria. Caterpillar’s chief executive officer and his personal staff will, however, vacate their headquarters office in the central Illinois city. The transfer is expected to be substantially completed before the end of the 2017 calendar year. 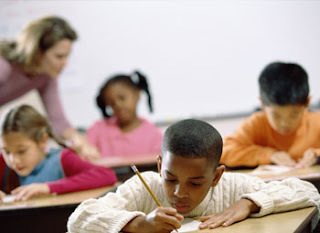 Governor Bruce Rauner’s Illinois School Funding Reform Commission today approved a framework that allows members of the General Assembly to create a new school funding formula. 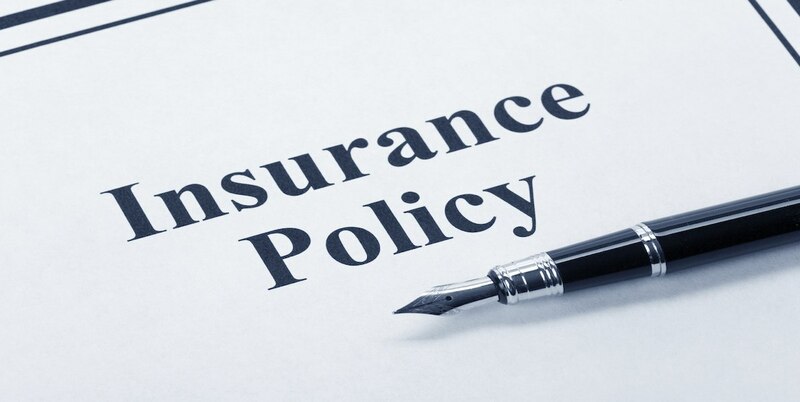 Governor Bruce Rauner recently announced that Illinois families have claimed more than $1.7 million in life insurance with the help of Illinois' Life Policy Locator Service. The free service helps families find a deceased person's lost life insurance policies and annuities. Since July 1' 2016 the Illinois Department of Insurance (DOI) recovered more than $1.7 million for Illinois families. State Representative Peter Breen (R-Lombard) was shocked to learn recently that it is not against the law to share or sell video that depicts a child committing suicide. 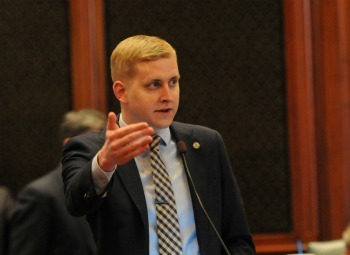 The DuPage County lawmaker took steps to criminalize that practice today with the filing of HB 825 in Springfield. “Just a few weeks ago, a 12-year-old from Georgia livestreamed her own suicide on social media and the video was widely shared by people in the days following the incident,” said Breen. “A few days prior to that, a 14-year old from Florida also livestreamed her suicide from the bathroom of her home and that video went viral. But our brave law enforcement officers have no tools to stop people who further victimize these children by distributing their suicide videos. We have to do everything we can to keep kids from taking their own lives, and the viral nature of these videos only promotes others to consider suicide.” Read more.